Each of the CIS countries, becoming independent, erected in the capital a symbol dedicated to its neutrality. Turkmenistan also did not ignore this important detail. The capital of Turkmenistan is Ashgabat, where the country's highest monumental building is the Monument of Independence of Turkmenistan. It is beautifully symbolizing countrie's sovereignty. The monument is immersed in the greenery of the National Independence Park, which surrounds the tower on all sides, emphasizing its importance and beauty. The height of the monument - 118 meters, has not chosen by chance. This is the sum of the date of the most important event for Turkmenistan - October 27, 1991, the day when the country was declared independent. The snow-white slender high column begins from a hemisphere. The hemisphere in this context symbolizes the traditional Turkmen house - the yurt, and is associated with warmth, comfort, stability. Water is flowing over the surface of the hemisphere as a symbol of life, abundance and prosperity. On the column are the five-headed eagles. The top adorns the crescent and five stars. 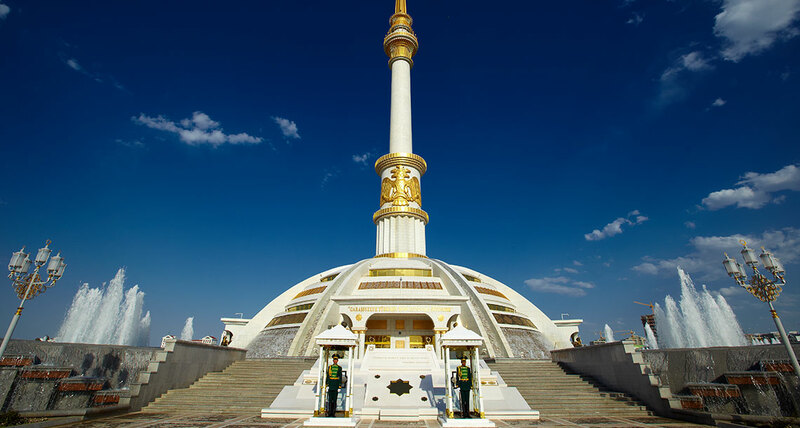 The figure five is not without reason present in the symbolism of the monument, it tells about the five powerful clans of Turkmenistan, which formed the Turkmen people. The hemisphere - yurt has five main entrances that guard the statues of menacing soldiers in shining golden armor and with golden sabers day and night. 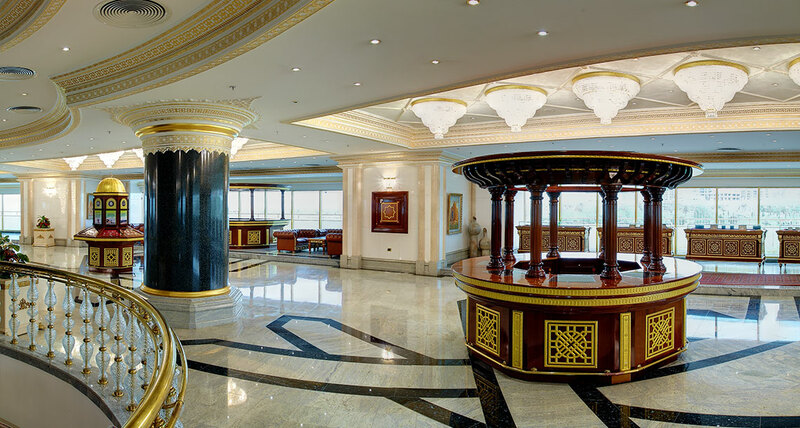 Inside is the Museum of National Values, which brings together all the beauty and luxury of the country. Here you can see magnificent samples of jewelry, many types of weapons, a large numismatic collection. 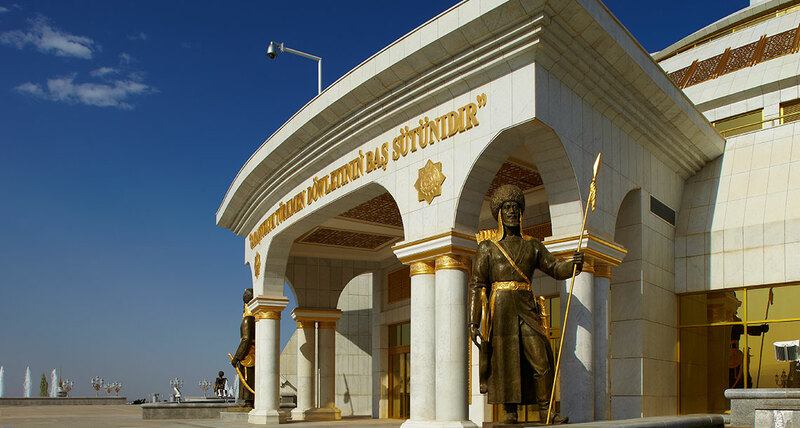 The monument is surrounded by statues of ancient rulers, great scientists, artists and writers of Turkmenistan, decorated with gilding. Through the Independence Park to the monument leads a snow-white front alley, emphasizing and strengthening the grandeur of the building.